Industrial developments in the Arctic are top priority. And it will be done in cooperation with the Chinese, the President made clear in his almost 4 hour long press conference this week. The question about the Kremlin’s regional priorities for the Arctic came from a journalist from the Komi Republic, and Putin was keen to respond. Yes, we have separate development program for the Arctic and the most important part of it is the industrial development of the region, including extraction of all kind of minerals, the president highlighted. «Today, the wealth of Russia will grow with the expansion into the Arctic», Putin underlined. And the reason is that this is the place with the biggest reserves of mineral resources, he added. 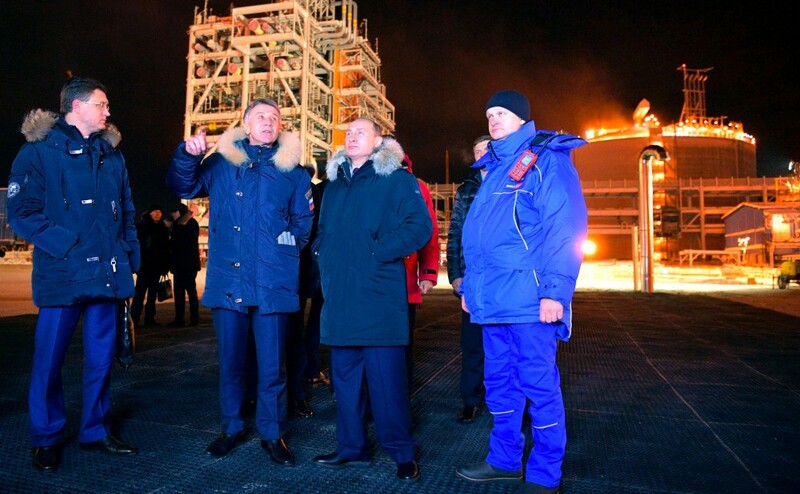 The press conference came only few days after Putin returned from the Yamal Peninsula where he took part in the official launch of the new Yamal LNG plant and Sabetta sea port, one of the biggest industrial projects in the region ever. The president appeared to still carry a dose of Arctic euphoria. «Secondly, the region must be provided with security, both environmental security and military security», he went on, a transcipt published by the Kremlin reads. He repeated his tale about the foreign tour guides in Franz Josef Land who allegedly told tourists on site that «these islands became part of Russia very recently», and who «seemed to have forgotten that these actually are Russian islands». «Now,» Putin said, «we have reminded them that everything is in order on site, and this fact should also not be forgotten», he added with a hint to the major Russian military buildup in the area. Over the last few years, Russia has built a major new base facility on the archipelago, which includes an upgraded airfield and buildings capable of housing up to 150 soldiers all through the year. The new base is needed in order to protect the expanding shipping activities in the region, Russian authorities have argued. The almost 4 hour long press conference also included questions about relations with China. Putin made clear that the Arctic is a key ground for cooperation with the great Asian power, and underlined that the country «expresses big interest to the Northern Sea Route». «I hope we soon will be able to achieve economically far more favourable transportation of goods between Asia and Europe on the Northern Sea Route compared with alternative routes», Putin underlined and added that «we will in all possible ways encourage China’s use of these advantages». The major press conferences before year’s end have become an annual tradition for Putin. This year, about 1,400 journalists from all over the country were on site for the event.